Museum of Arts and Crafts was founded in 1880, as one of the first institutions of its kind in Europe. Its role was to preserve the traditional values of people’s trades as well as to create a new aesthetic culture for the city’s upper class. So, for that purpose, in 1882 the Museum as well as a Craft school (known today as the School for Applied Art and Design), were founded. The Museum is located in the centre of the downtown area. 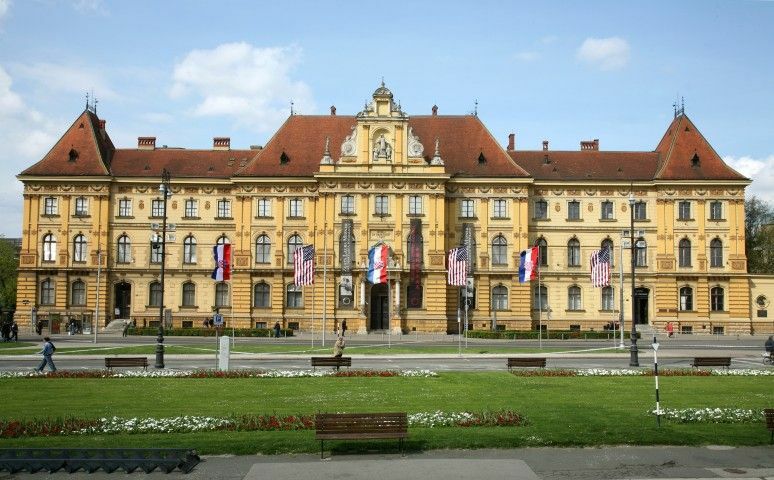 The palace, built in the German renaissance style, was constructed primarily as a museum, and with its façade it still fulfills the scenography of one of Zagreb’s most beautiful squares. Thanks to its rich abundance of objects from abroad, the Museum goes beyond national importance and is a part of European heritage. The modern role of the museum is seen in its rich cultural and societal events: the Museum and its open terraces are an ideal place for organizing symposia, seminars, concerts, charity and promotional events. INSIDE VENUE: The Museum and its open terraces are an ideal place for organizing symposia, seminars, concerts, charity and promotional events. Two awards for GUARANT International clients: Best congress and the best corporate event of 2018!